Ciampino station parking gives you the option to choose covered and open air parking at only one minute from the station and above all allows you to book your parking space for Ciampino station parking in advance. By booking for Ciampino station parking you will rid of the stress of searching for a parking space and you can be assured of obtaining a guaranteed, secure and convenient parking space. Book now for Ciampino station parking, your safe and cheaper alternative to the official car park. Ciampino station is an important junction on the Rome-Naples railway line and is on the network for visiting the sites of Rome. 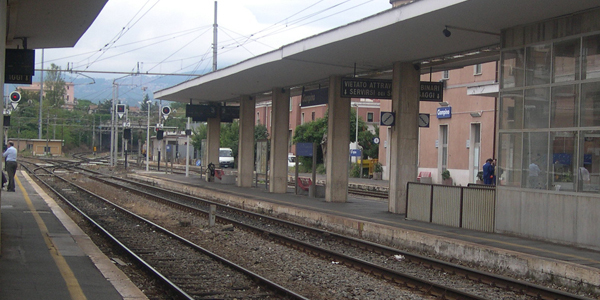 Ciampino railway station serves the town and comune of Ciampino, in the region of Lazio, central Italy. As one of the most important stations in Rome the station enables interchange between two Ferrovie regionali del Lazio commuter lines, and also serves Rome-Ciampino Airport.